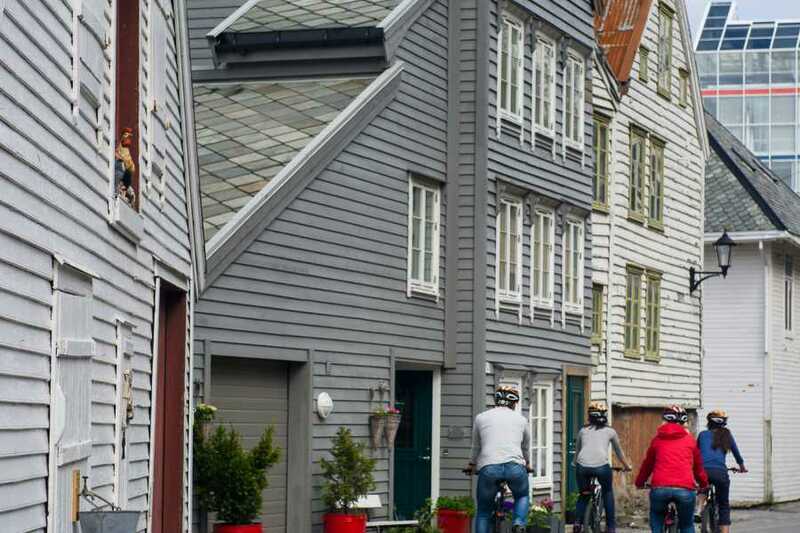 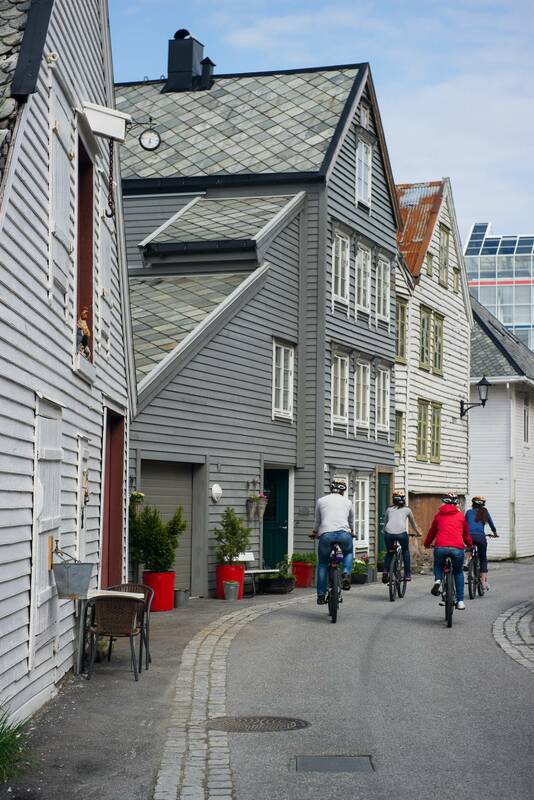 Cruising through the cobblestone covered streets uncovering the intricacies of Ålesund’s art nouveau architecture, passing churches and crossing bridges on our ride through Ålesund. 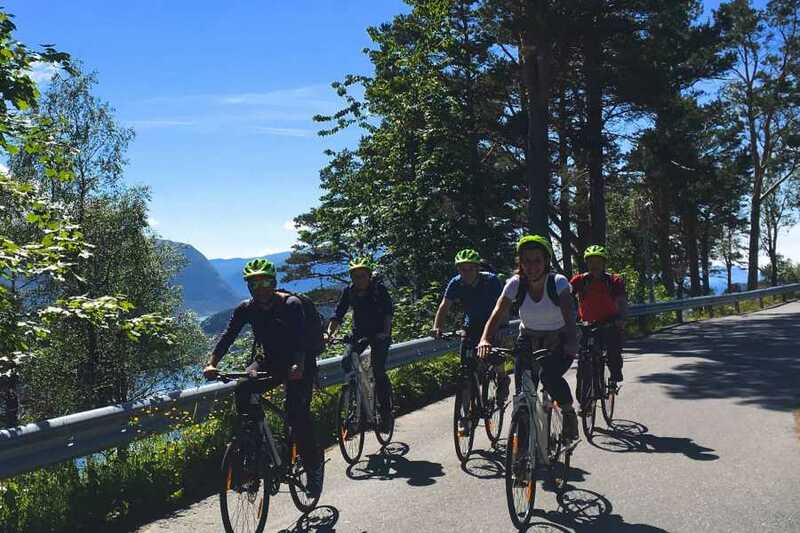 Riding the length of Asp Island, we cross Steinvåg Sound and make a right heading out around the outer edge of Hessa Island passing beaches, pasturelands, and historic installations from world war II; with the Atlantic on our right we gaze out over the deep blue waters as the indomitable ocean becomes a fjord. 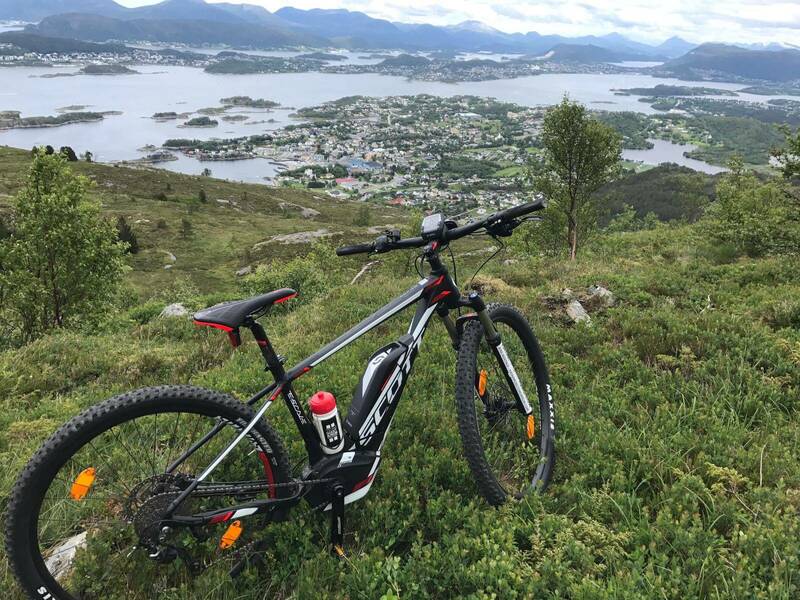 Half way down Hessa Fjord we arrive at the trailhead to Sugar Summit. 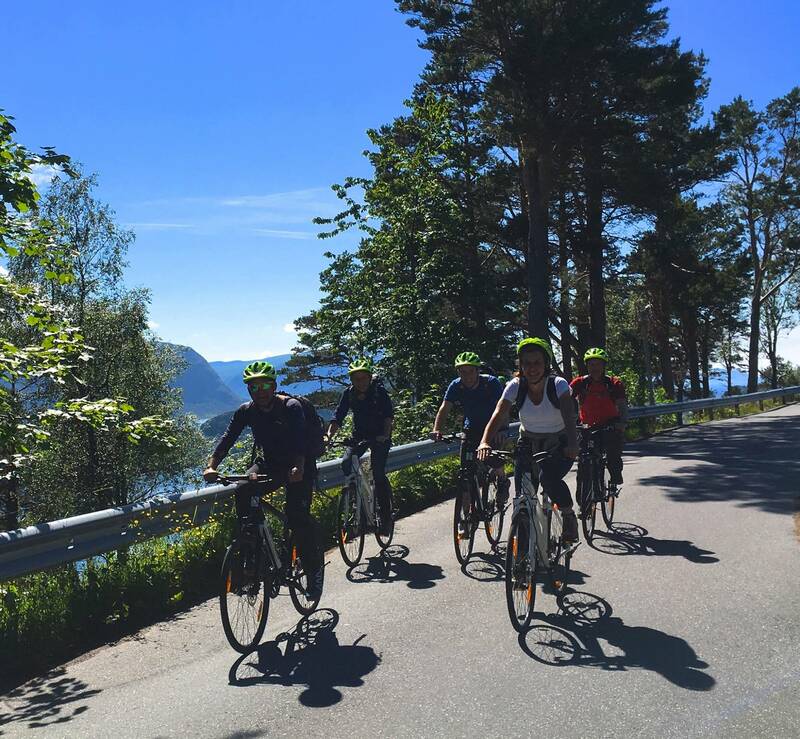 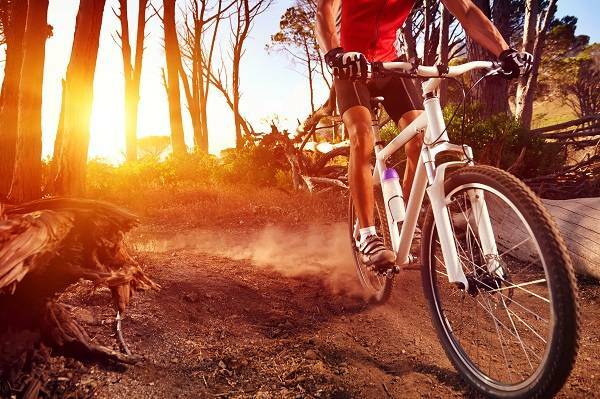 Leaving our bicycles, we set out on foot for the summit. 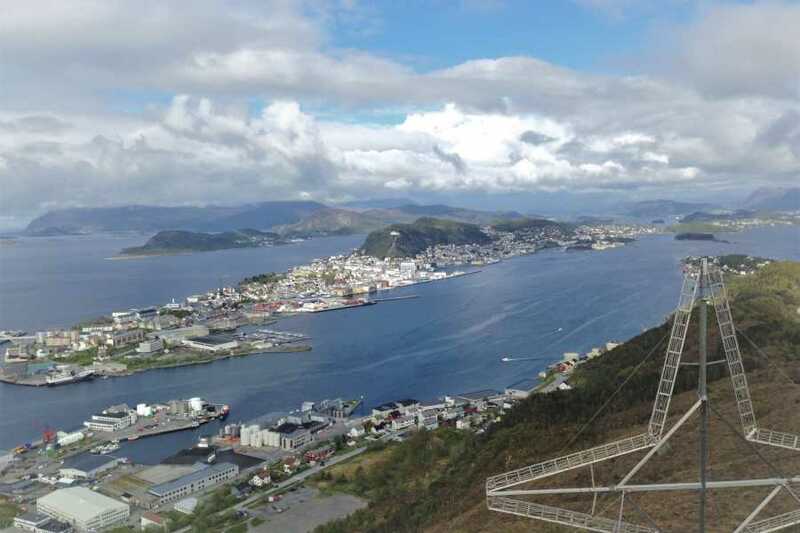 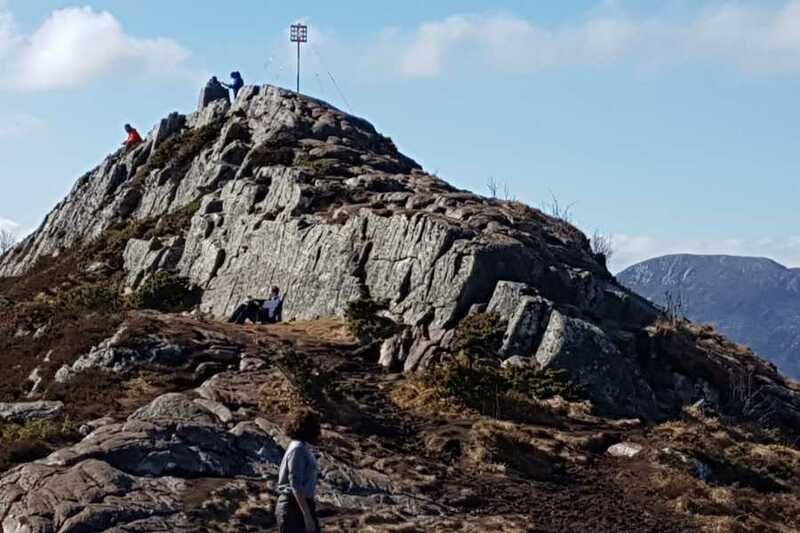 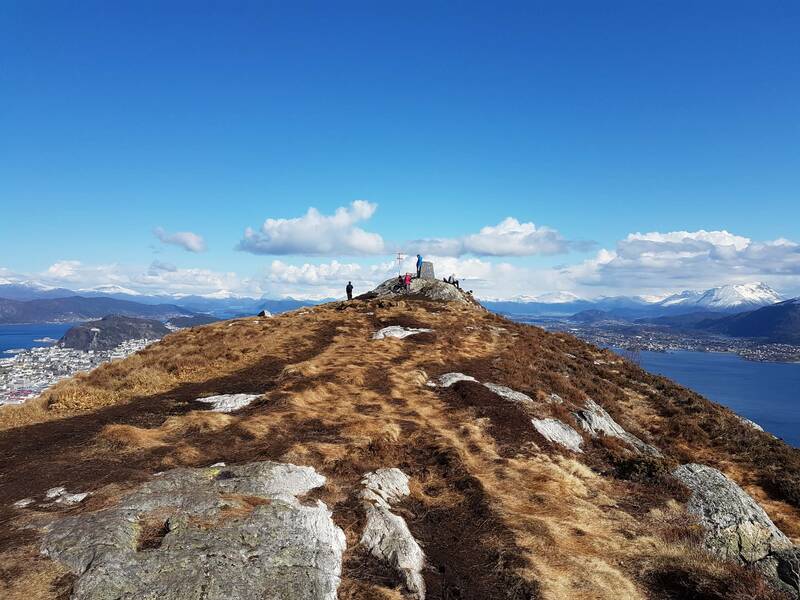 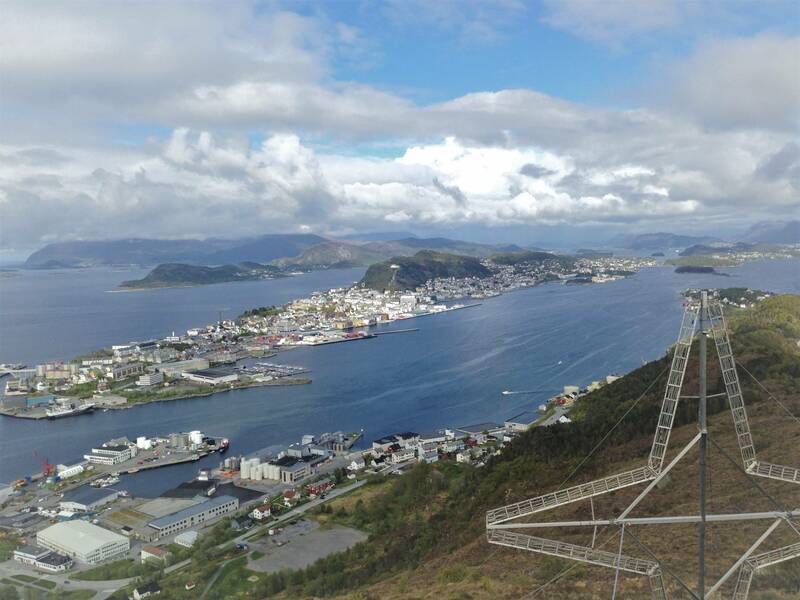 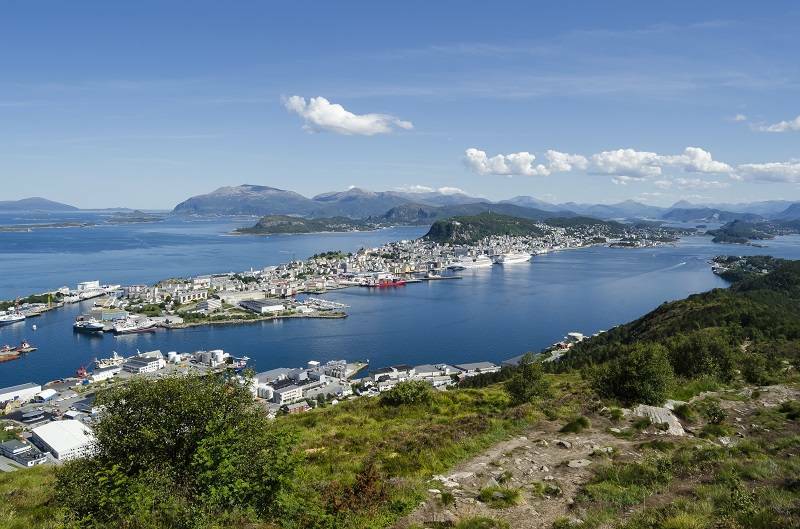 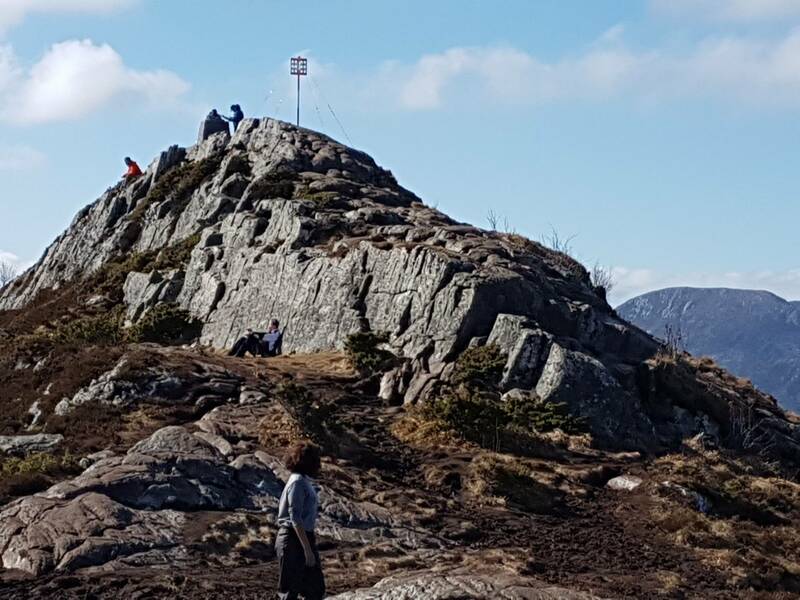 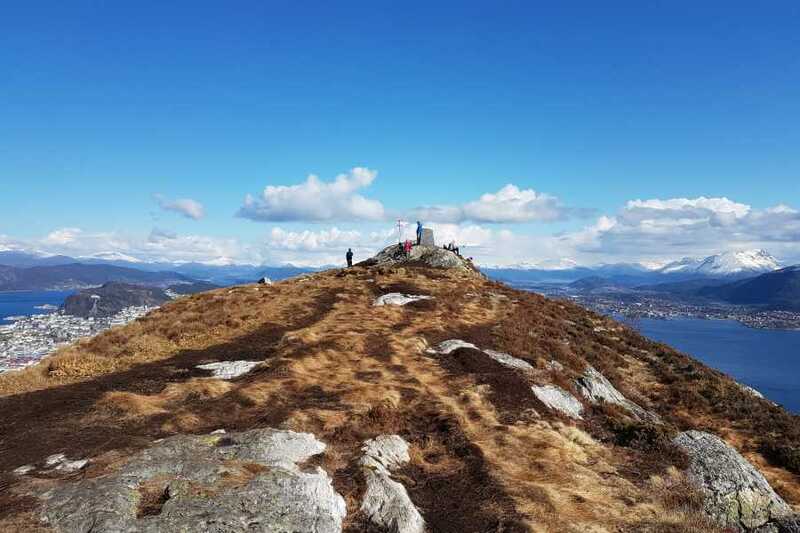 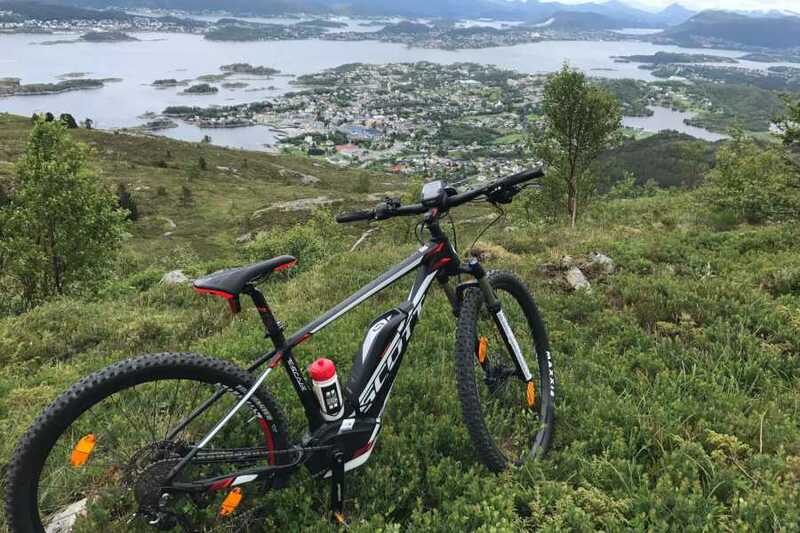 The trail is well trodden as we make our way diligently upwards to the summit and the 360 degree view of Western Norway and it’s Art Nouveau city.